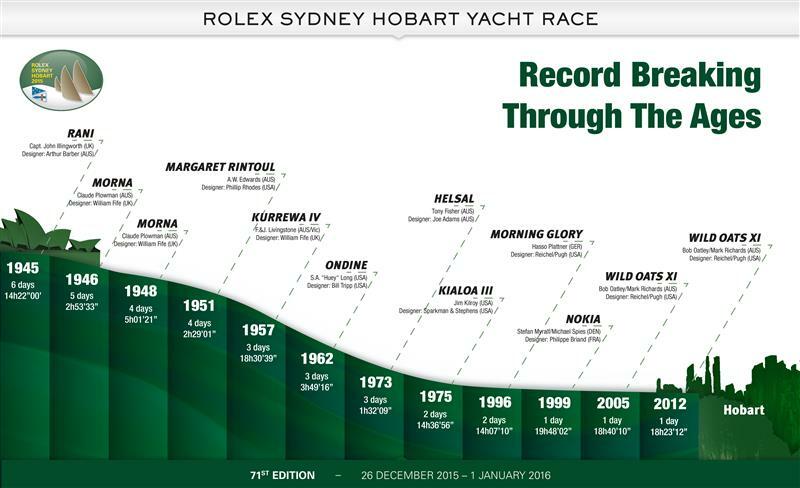 Never in the 70-year history of the Rolex Sydney Hobart Yacht Race has there been a fleet like this—the line honours winners and overall winners of every major offshore race in the world. The fleet of 110 in the Cruising Yacht Club of Australia’s blue water classic includes the winners of the latest editions of the Rolex Fastnet Race, the Transpac, the Transatlantic Race, the Hong Kong-Vietnam Race, as well as the Rolex Sydney Hobart Race itself. From 28 nations, they are converging on Sydney to wrest the silver grail from eight-time line honours winner Bob Oatley’s Wild Oats XI, itself forced into radical plastic surgery this year in a bid to remain top of the heap. But will the operation have been successful? Five women skippers, three of them on their own boats. Ken Read returns with the extraordinary 100-foot enlarged version of an IMOCA 60, Comanche, owned by Netscape founder Dr Jim Clark and his Australian wife Kristy Hinze. Comanche’s record since the 2014 Hobart is impeccable. Since last year’s 49-minute loss to Wild Oats XI in the 628 nm Hobart race, Comanche has made the fastest time in the three major races on her agenda: the 185 nm Stamford to Block Island Race in the US; the 2800 nm Transatlantic Race; the 603 nm Rolex Fastnet Race. In winning line honours in the Transatlantic Race, Comanche set a new 24-hour monohull sailing record, sailing 618.01 nm, averaging more than 25 knots. That record distance is just short of the length of the CYCA’s course for the Hobart race. And she has reduced crew from 24 last year to 19 or 20 for this race. She will be here to win. 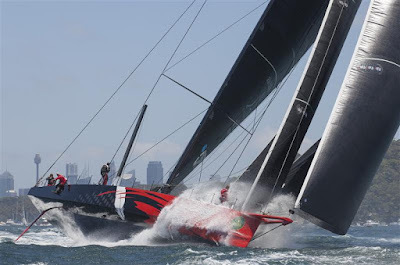 Bob Oatley has gone for the knife on Wild Oats XI, ordering plastic surgery fore and aft on her hull to bring his 10-year-old super maxi up to date and in contention for her ninth Hobart line honours. 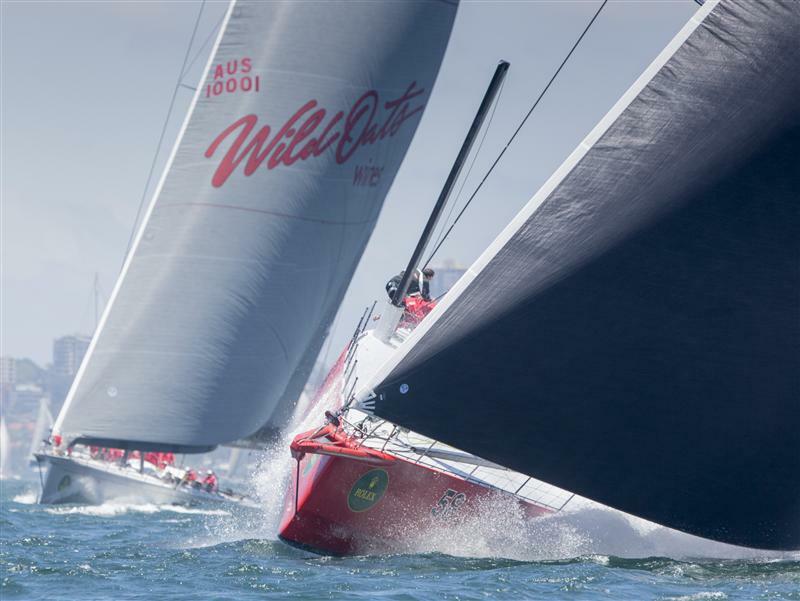 Who are the major threats to Wild Oats XI? “All the super maxis will be our major competition, but Comanche is the boat to beat,” Richards said. The international fleet includes the first two entries from Mainland China and the 12-boat Clipper fleet from the UK. They last sailed in the race in 2013. Also from the UK are Jeremy Pilkington’s Lupa of London and Colin Buffin’s Uxorious IV. Rambler 88 will be a strong contender to win the race overall, together with Belgian entry Leon, which, as Courrier du Leon, won this year’s Fastnet race overall. 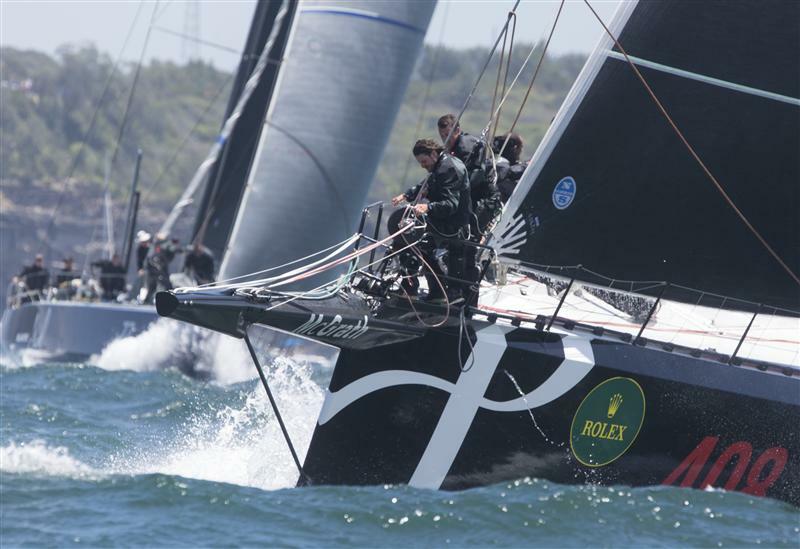 Australian hopes will be pinned on the three local super maxis for line honours. And for overall honours: 2013 winner Victoire (Darryl Hodgkinson), Black Jack (Peter Harburg), Chinese Whisper (Rupert Henry) and last year’s winner Wild Rose (Roger Hickman). Henry, whose yacht landed in Australia in August after successfully competing with her former owner on the international circuit, said this year’s competition for overall honours “is formidable. But we are in it to win it and hopefully we will be competitive,” he said. Asked what the big boats brought to the race, Hickman said: “The big boats are terrific; tennis has Roger Federer, cricket has Steve Smith and sailing has Bob Oatley." Among the NSW entries are Brindabella (Jim Cooney), Celestial (Sam Haynes), TSA Management (Tony Levett), After Midnight (Mark and Greg Tobin) and Quikpoint Azzurro, the 34-year-old S&S 34 owned by Shane Kearns, which won the Land Rover Sydney Gold Coast Yacht Race in July. The international Clipper Race fleet has 12 boats, crewed by Corinthian sailors of 26 nationalities. Its founder, Sir Robin Knox-Johnston, will also race on one of two Clipper 68s taking part. The name ‘Soldini’ will stir the memories of Australians who followed the exploits of French yachtswoman Isabelle Autissier. It was Soldini who won the 1998/99 Around Alone Race after a disastrous opening leg and, along the way, captured the world’s admiration by rescuing fellow competitor Autissier, who had capsized in a remote part of the Southern Ocean, 1900 nm west of Cape Horn. The Rolex Sydney Hobart Yacht Race starts on Boxing Day, December 26 at 1pm AEDT. The start of the race will be broadcast live on the Seven Network throughout Australia, webcast live to a global audience on Yahoo!7 and live streamed via mobile.